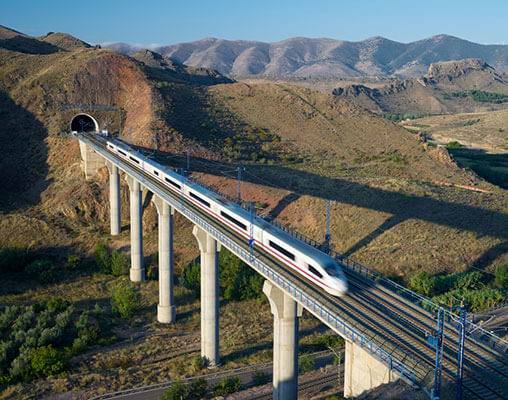 The high speed Altaria service in Spain provides excellent connections between Madrid and several other major Spanish cities and can reach speeds of up to 124mph (200km/h). First Class tickets usually include a complimentary meal and drinks. The trains generally feature an on-board café where passengers may purchase snacks, light meals and drinks. AVE is Spain's flagship high-speed service, connecting Madrid, Cordoba and Seville across dedicated high-speed tracks. AVE trains are based on the French TGV and Thalys, and the speed and comfort offered are similar. However, the level of service for passengers in First Class ("Preferente") is much higher, with a complimentary drink and light snack included. A café-bar serving drinks and snacks is also available on board. AVE is so reliable that the Spanish railroad company, RENFE, promise a full refund if the train is more than five minutes late - so far they have only had to honour that promise in 0.16% of cases! 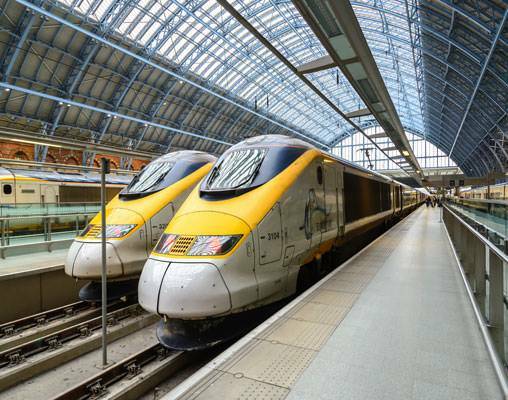 The high speed Eurostar trains link St Pancras International in London with Paris and Lille in France as well as Brussels in Belgium. Eurostar's Standard Class coaches feature two seats on either side of the central aisle, most of which is arranged in an 'airline' seating configuration with drop down tray tables. There are two tables for four per carriage. Passengers traveling in Eurostar Standard Class coaches can take advantage of the Bar-Buffet which sells a range of snacks, meals, hot and cold drinks - including Champagne! The highest class of Eurostar travel available for leisure customers is Standard Premier Class. In your dedicated Standard Premier carriage you'll find a less dense seat configuration, meaning the seats are larger and you have ample space to relax and stretch out. As part of the service you'll enjoy complimentary drinks and refreshments, served at your seat by friendly, helpful waiting staff. Introduced in 1981, France's TGV (Train à Grande Vitesse) was the original European high-speed train. Linking Paris with Lyon, the new service revolutionised train travel and meant that traveling by air over medium and short distances was no longer seen as the best option, even for business travel. The network has expanded rapidly and today these sleek, stylish trains offer links to over 60 destinations throughout France. Operated by SNCF, the French national rail operator, TGV trains travel over specially-constructed high speed lines. The trains can achieve speeds of up to 186mph (300km/h) on most long distance routes and 200mph (320km/h) on the new TGV Est line, which links Paris with Strasbourg, Luxembourg and Basel. With the exception of shorter journeys, TGVs almost always have an on-board buffet car, serving a selection of drinks and light refreshments. The 4-Star Hotel NH Hesperia Presidente is set within the Avenida Diagonal, and close to many public transport links that can connect you to the numerous tourist highlights of Barcelona. The rooms at this hotel are decorated in warm colors, mirroring the vibrancy of the city, and come air-conditioned throughout. Also available in the rooms are an en-suite bathroom, a hairdryer, an in-room safe, a minibar, and a television. Within the hotel itself, there is a restaurant, serving delicious cuisine with stunning views over the city, as well as a bar that offers a variety of tapas. There is also a gym, and a sun terrace with views that stretch to Barcelona's seaport. 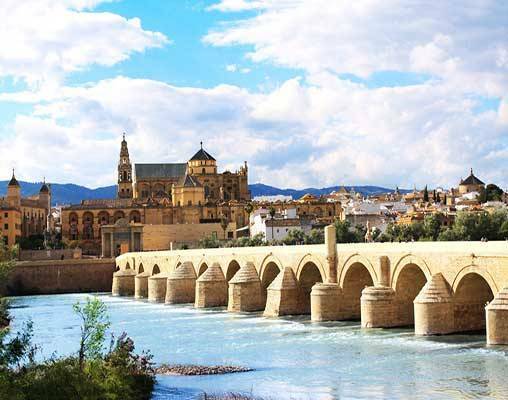 The 4-Star Hotel Hesperia Cordoba, is a modern hotel offering views across the Guadalquivir Rivers to the city's famous Mesquita and Old Town. The hotel has a pool, sheltered by a modern Andalucian courtyard. The hotel has its own restaurant and panoramic bar. Rooms are equipped with television, air conditioning, minibar and safe. 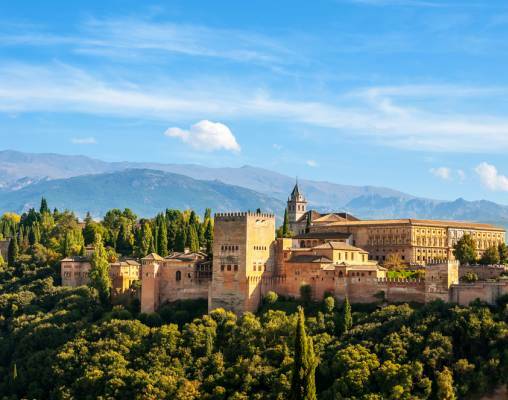 The 4-Star Melia Granada Hotel is located in the heart of Old Town Granada in close proximity to the city's old Medina, the world-famous Alhambra and a wide array of excellent restaurants and shops. The hotel has a restaurant, bar and breakfast buffet. Room facilities include air conditioning, a telephone, television, minibar, safe and a hairdryer. In 2012 the hotel won a Bronze Award for overall quality in the Spain and Southern Europe regional category. The 4-Star Hotel NH Principe de Vergara is our base whilst in the gorgeous city of Madrid. Set within the Lista area of the city, the hotel is a close walk to numerous public transport links that can take you into the center of this historic city. The hotel rooms are air-conditioned throughout, and also come with an en-suite bathroom, a television, a minibar, and complimentary Wi-Fi. The hotel itself boasts some great amenities, including a gym, a bar, and a restaurant that specialises in Mediterranean food. 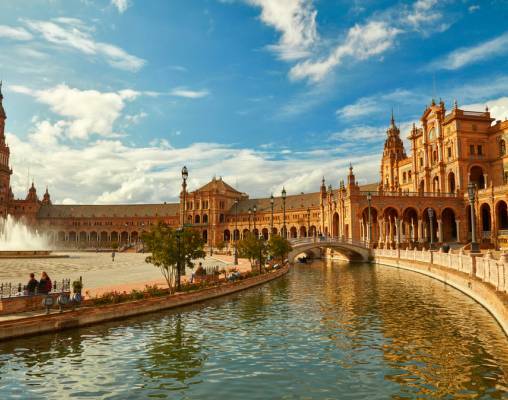 In Seville we stay at the 4-Star Hotel Becquer, located in the city center, only a few minutes away from Seville's main attractions, such as the Cathedral, the Giralda or the Santa Cruz district, all a short walk from the hotel. The hotel has two restaurants including El Pabellon offering traditional Mediterranean cuisine. The hotel also offers guest a café, two bars, a lounge, spa, Turkish bath, steam bath, swimming pool and sun terrace. Room facilities include minibar, television, air conditioning, hairdryer and safe. 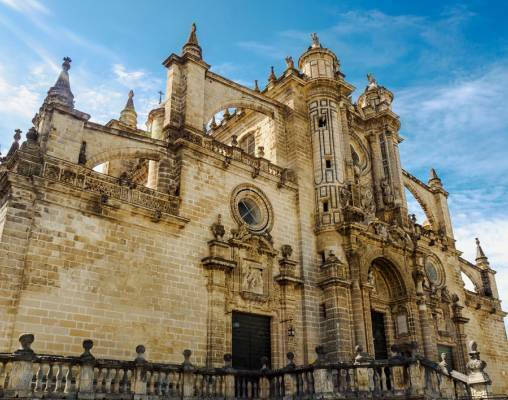 Enter your details below if you would like to be notified when 2020 dates and prices are available for Andalucían Explorer.